Steel targets are practical and durable solution for testing aimed shots from firearms. Today, two main types of steel targets presented on the world market: falling and not falling after the hits. There is a varied range of Velmet Armor System’s products and you will find everything you need for a professional shooting range or for target practice in an open area. We offer quality products of the domestic producers at reasonable prices! All targets, which are produced at the manufacturing capacity in Khmelnytskiy, fully meet the domestic and international quality standards. For the manufacture of the target equipment we use armor steel Velmet ARMOR ARM-550, which has good resistance to the lead, half and full metal jacket bullets of various calibers. There is no need to replace the short-lasting cardboard targets after exercise. 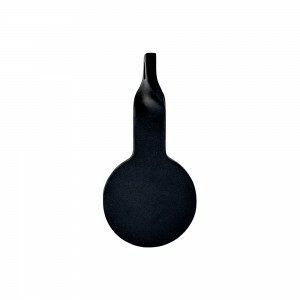 Target gongs are suitable for different kinds of use. Today they are actively used on military sites, air soft areas, and at shooting completions. Despite the fact that steel targets in Ukraine are a little bit more expensive than the analogues, their performance features stand out and easily compensate the price difference. In addition, we offer goods directly from the manufacturer, which significantly reduces the cost of a customer, and there is no need to pay goods dealers more for the same. Do you want to buy target-gongs in e-shop Velmet Armor System, but have difficulty in choosing the right option? Contact our managers and they will advise the target equipment that best meets your needs. It is possible to deliver the orders of retail and wholesale to the regions. In case of a need to deliver an order to foreign countries, please contact our manager first for specifying delivery details and arrangements. We are ready to ensure efficient order performance of any complexity and rapid shipment of products by popular courier delivery services. There are special offers for wholesalers!